In the New Year I’ll be heading off to America for 5 weeks to trial out what they have to offer when it comes to fitness (yep – I’m pretty excited!) but last week I got a little taster when US based Studio Lagree opened their doors to their megaformers class in London. Started in LA by Sebastien Lagree, the classes have been popular with celebs like Kim Kardashian, Jennifer Anniston, Michelle Obama and Nicole Kidman. And I’m not surprised, it’s very hard! 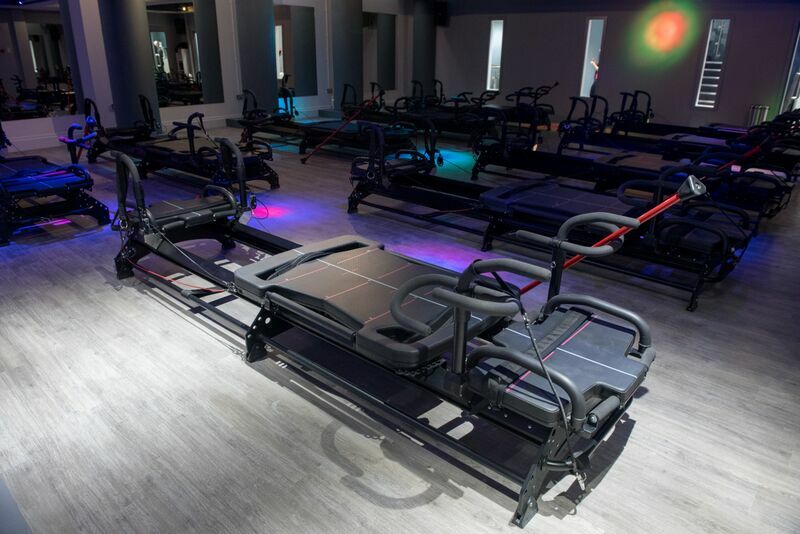 If you’ve ever done a reformer pilates class you’ll understand what I’m talking about, based on moving boards, Megaformers™, machines specially designed by Sebastien, which use springs to control the intensity, we moved from simple lunges to ab work which made my whole body ache, shake and sweat like mad. When I had a chat with Sebastian after the class he told me it takes around 3 classes a week to really see a change in your body and unlike other classes it really is an all over body workout. Which I can really vouch for – I could barely walk the next day. 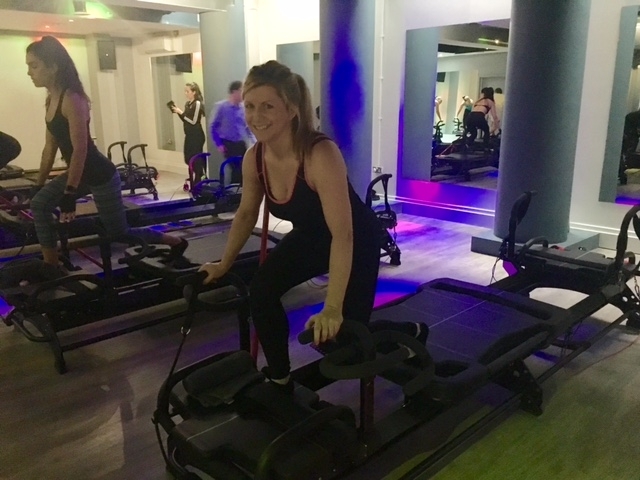 When Sebastian started the classes he wanted the workout to be set apart from pilates reformer classes, making them less like pilates technically and more about conditioning your whole body, raising your fitness levels and burning calories. He also likes to constantly adapt the megaformer around new moves, with these versions at the London studio being his 5th adaption. He also has megaformers in LA which have ramps – which I’m really not sure I want to try out! I loved the class though and looking forward to going back and getting that celeb body! 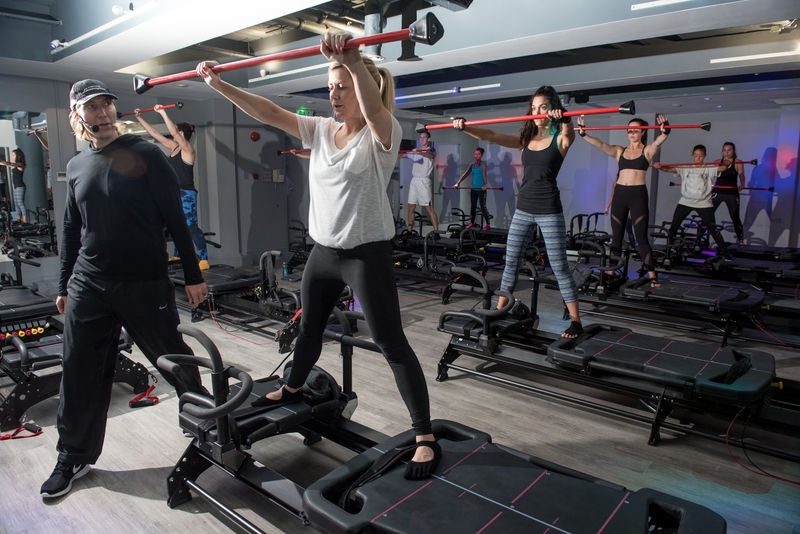 The central London studio is based on Chiswell street and they have also have a Guildford studio – let me know if you try it out and what you think.